David Flood is Organist and Master of the Choristers at Canterbury Cathedral. Church music is in David's blood; he held his first parish church organist post at 15 and has been deeply involved with church music ever since. In 1978 David was appointed Assistant Organist at Canterbury Cathedral, a post he held for eight years. During this time he was involved in many national and international occasions, such the enthronement of Archbishop Runcie and the visit of Pope John Paul II. 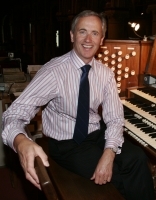 In 1986 David was appointed Organist and Master of the Choristers at Lincoln Cathedral and returned to Canterbury in 1988 as Organist and Master of the Choristers. He has been responsible for the music at all the special occasions, in particular the Enthronement of Archbishop Carey, the Enthronement of Archbishop Williams in February 2003 and the 1998 and 2008 Lambeth Conferences. The Cathedral choir under his direction has regularly toured in Europe and North America, most recently in April 2009. In July 2002 he was awarded the honorary degree of Doctor of Music by the University of Kent and in 2008 an Honorary Fellowship of Canterbury Christ Church University. 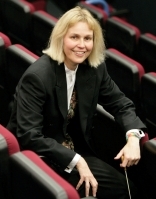 Susan Wanless is Director of Music at the University of Kent. She co-ordinates the wide range of musical activities which are open to all students, staff and the local community, and conducts the University Chorus and Symphony Orchestra. Thanks to a generous donation from the Colyer-Fergusson Charitable Trust she is now channelling much of her energy into the new centre for Music Performance which is to be built on the Canterbury Campus and completed in summer 2012. 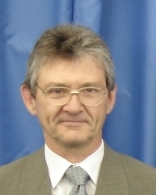 David Burridge was Kent Secondary Adviser for Music for 8 years, before retiring in Sept 2010 and a frequent adjudicator of other choir competitions in Kent. He regularly conducts the County Youth Wind Orchestra and other groups at the annual Benenden Summer Music Courses and performs himself as a Euphonium player and Cellist. In July, KYWO performed his African adventure, "Etosha" for Wind Band and Choir. The Deal Festival of Music and Arts have now appointed him as Director of Education.